Female Founder Pitch Breakfast – Why Do Female Founders Get Less Funding? 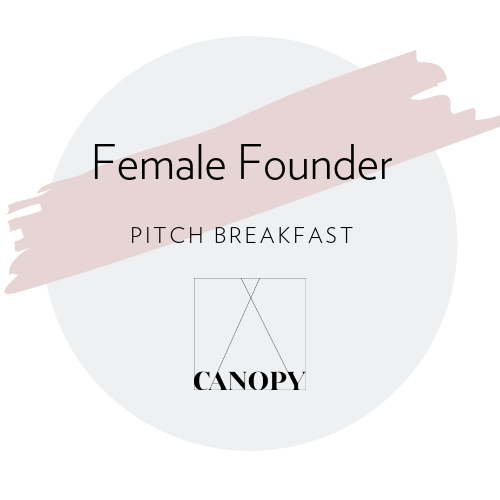 Please join us for CANOPY's first Female Founder Pitch event moderated by CANOPY Members, Shannon Grant and Tina Bou-Saba. We received feedback from women investors and founders at prior events that hearing from founders who are actively fundraising would be very valuable. The pitch session will be during breakfast, and we will hear from Zahra Kassam, Founder & CEO of Monti Kids and Jill Koziol, Founder & CEO of Motherly. Both Zahra and Jill are currently fundraising, and they will present 10-minute pitches, followed by a discussion on "The Future of Motherhood," including time for Q&A. Coffee and breakfast will be provided by Jane.